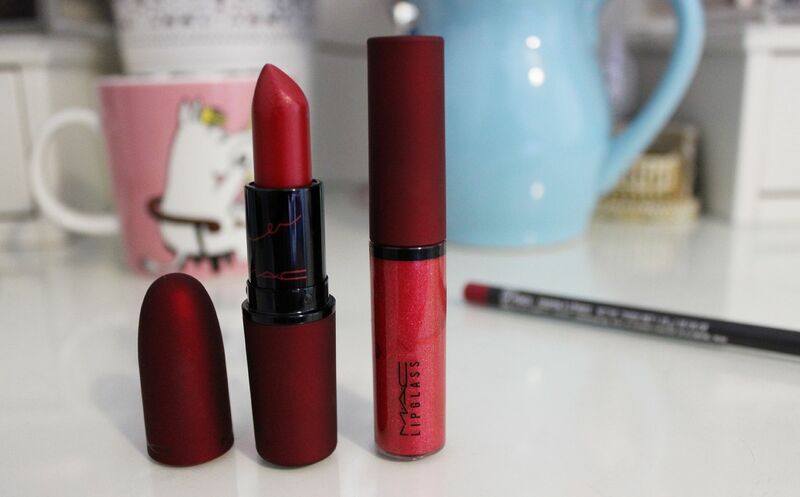 As a head’s up, the viva glam campaign is one of my favourite things about MAC. It was started in 1994, and 100% of the sale goes towards the Aids fund. They have raised over $270 million since it started, which is pretty amazing. I think it’s lovely for such a successful company to give back. This year’s spokesperson is Rihanna & she is having 2 viva glams I think. The first one is this one, a frosty blue toned red. When I think frost I think 80s, and that scares me, but this is a nice lipstick. 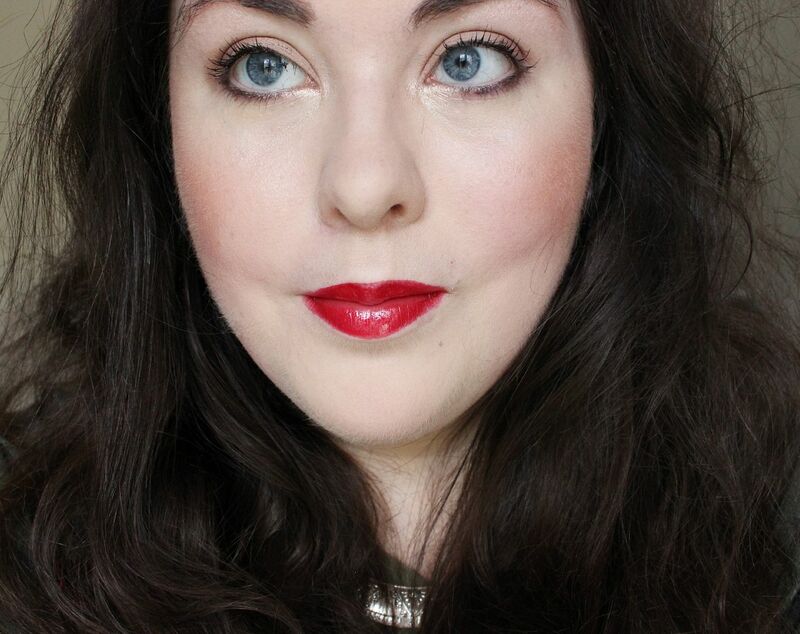 The formula means it’s quite creamy and the frost will be more forgiving than a matte lipstick. It can be a little drying, but that can be remedied with… the matching gloss! A super sparkly red that reminds me of Dorothy’s slippers 🙂 I haven’t worn gloss in the longest time, so it took some getting used to as it smears everywhere! Pretty though. Will you be getting the Viva glam RiRi?